Email community.outreach@furnitureshare.org to get information about sponsoring the event, purchasing a table, or donating items for the silent or live auction. Tickets Available Starting May 1st! 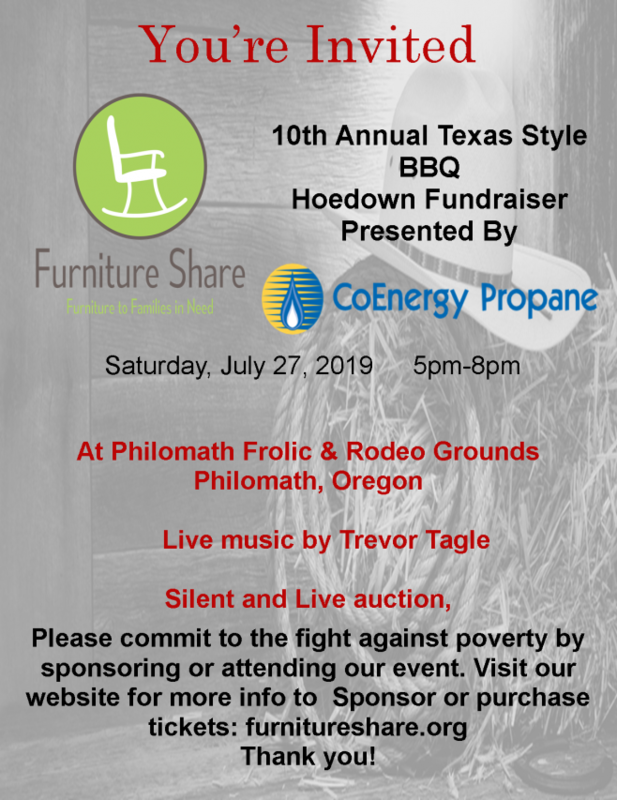 Please mark your calendars to attend Furniture Share’s Annual Texas Style BBQ, Hoedown and Team Penning Event. It will be held on Saturday, July 27, 2019 from 5-8:30 pm at Philomath Frolic & Rodeo in Philomath. 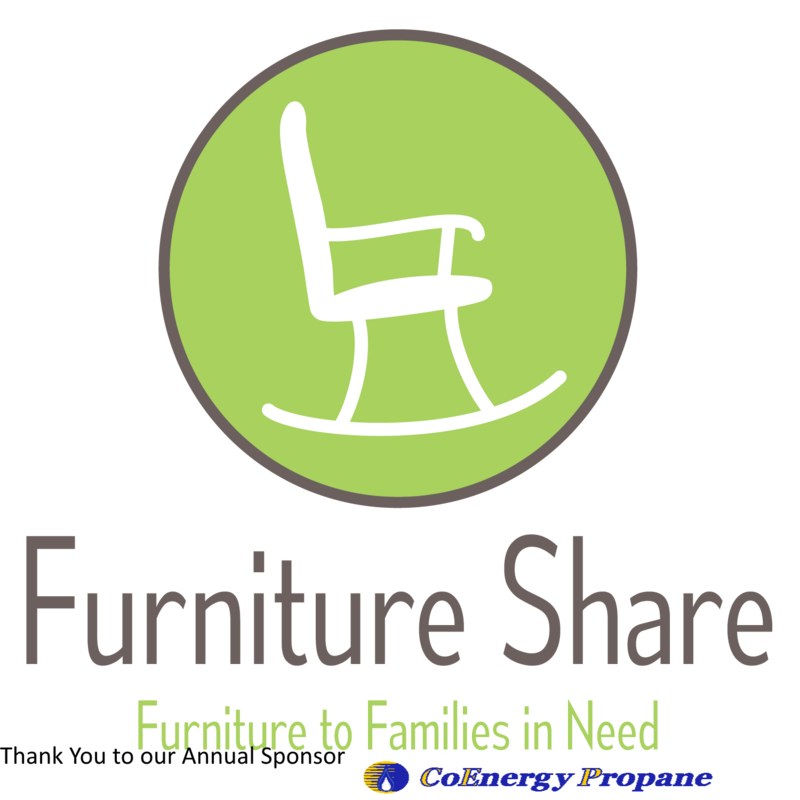 This event will have food and drinks, live and silent auctions, kids activities, live music. BBQ General Event Tickets are $35 and includes BBQ dinner OR $40 at the door.